Les and Pam Stubbs originally recorded the 'Unsung Heroes of the Royal Air force'. 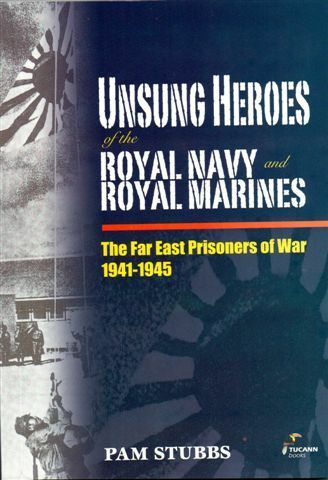 This publication provides a comprehensive record of the Royal Navy and Royal Marines who in World War 2 were prisoners of war of the Japanese. A Roll gives the Full name and service number of each of the these Far East Prisoners of War (FEPOW's) and the countries in Which Held. Included for those who did not survive is the place and date of death and where buried - or, for those with no known grave, the memorial where Commemorated.